Wadding – ecologically clean produced by needlepunching method without chemical bracing. 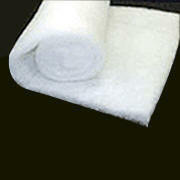 It is made of synthetic or natural fibers individually or as a mixture of the two. The batting is used for making jackets, pants, cushions, quilts, etc.